I really like it - especially how you have the different colors for different pencils. And that is so sweet that Rebecca uses and appreciates it! Oh don't know how you kept quiet about that one. Really. January!!! WOW, you are good at keeping secrets! I'm thinking about making one of these for Ethan and one of your crayon/coloring book bag for Isaak. I think they would love them. that is awesome!! 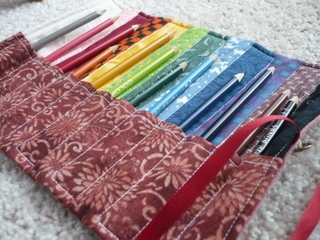 i absolutely LOVE that you put a corresponding strip of fabric for each colored pencil. yay for clever!!! I always wanted to make one of those. COngrats on the wee wonderful win!!! 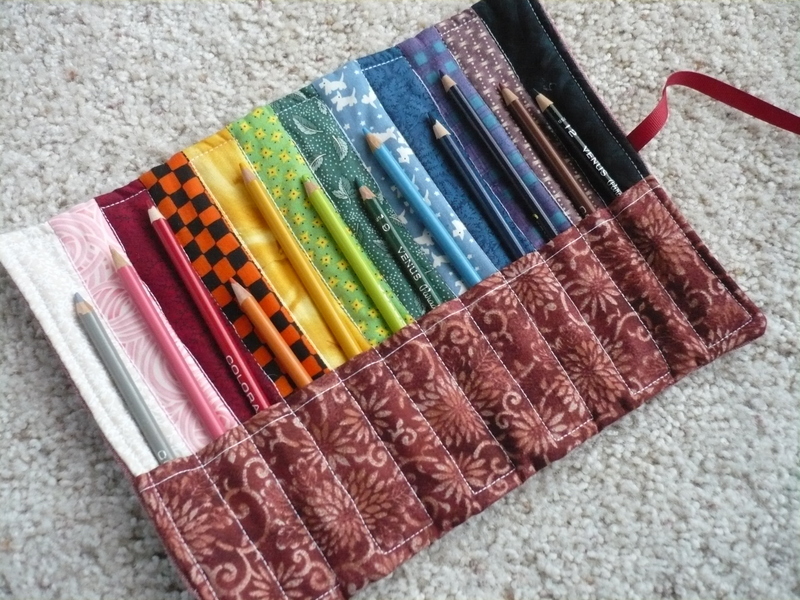 I just love the co ordinating fabric to the pencils this makes is super special. 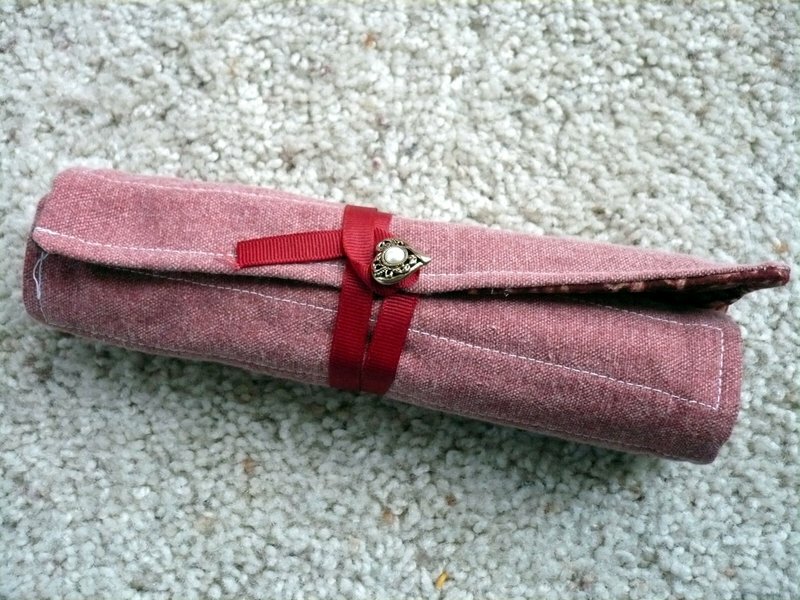 Love the matching fabric color to each pencil. Helps to keep the little carrier all tidy and in order. You're so smart!